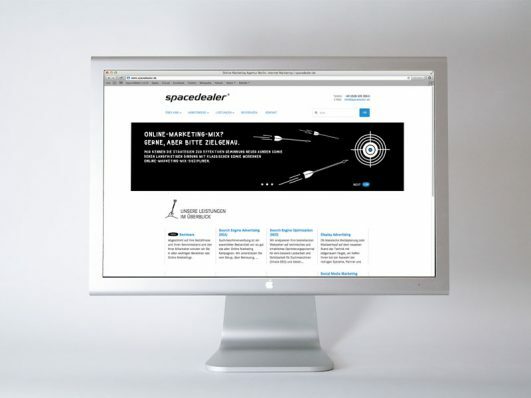 spacedealer – an online and internet marketing agency – has just launched its new website. With a brand design and web concept from Realgestalt, the challenge of the new presence was making abstract and complex aspects of online and performance marketing more accessible and informative for users. Our black and white spacedealer illustrations, complemented with a bold cyan, are the agency’s brand communicators. We wish all the best for Berlin’s leading search engine optimisers – now with a beautiful new web presence.